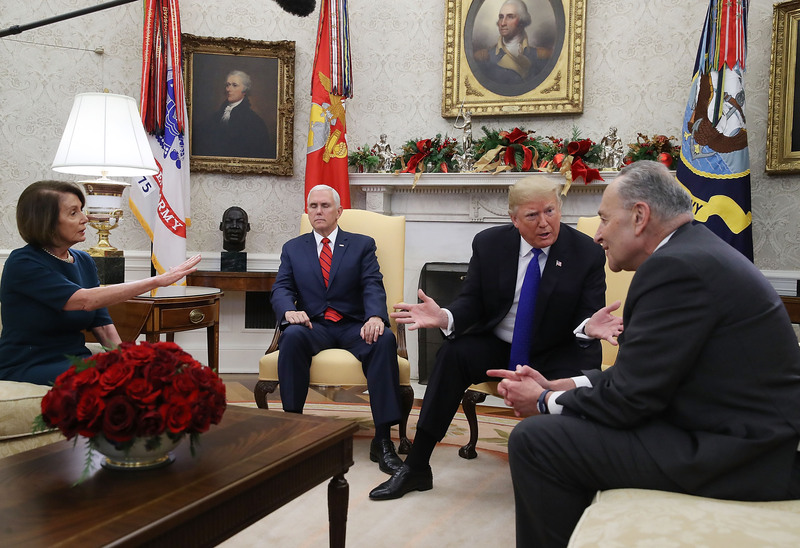 President Donald Trump and Democratic lawmakers have shown no indication that they will reach a deal on funding for a wall along the U.S. southern border, setting the stage for a partial government shutdown over the Christmas holiday. Trump took a swipe at Democratic lawmakers Monday morning, mocking their usage of the term “border security” and noting that it is possible secure the border without a physical barrier. Trump and Republicans are demanding $5 billion for border-wall funding in the spending bill, set to expire Dec 21, while Democrats say the highest they will go is $1.3 billion. Neither side over the weekend has shown any willingness to budge. The White House doubled down on this promise by deploying senior advisor Stephen Miller on CBSNews’ “Face The Nation” Sunday. Trump went on to say subsequently that he wouldn’t blame the Democrats for the shutdown and would take full ownership of it because he was so sure Americans agreed that more funding for the wall was needed. “We’re going to do whatever is necessary to build the border wall to stop this ongoing crisis of illegal immigration,” Miller declared, adding, “If it comes to it,” Trump will “absolutely” shut down the government. Schumer continued on Sunday, “We Democrats, Leader Pelosi and I offered the president two options as to how to avoid the shutdown,” noting that they both included the lower levels of funding for border security. If a shutdown does occur it will affect nearly 25 percent of the U.S. government, ranging from agencies like the Department of Homeland Security to individual agencies like NASA, the EPA and the FDA.